Garrett Hedlund is an American actor and singer best known for his roles as Patroclus in the movie Troy and as Sam Flynn in Disney’s Tron: Legacy. He played Murtagh in the 2006 film version of Eragon. His other films credit include Friday Night Lights, Four Brothers, Unbroken, On the Road, Inside Llewyn Davis, Country Strong, and Pan. 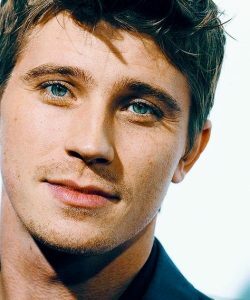 Born Garrett John Hedlund in Roseau, Minnesota, he is the son of Kristi Anne and Robert Martin Hedlund. He is of Swedish descent on his father’s side, and of Norwegian and German descent on his mother’s side, and has two older siblings, Nathaniel and Amanda. In 2012, he began dating actress Kirsten Dunst. He participated in ice skating, wrestling and football during high school. *His parents separated when he was a young boy. *He was discovered at a ProScout event. *While in high school, he was good in athletics and used to participate in ice skating, football, and wrestling. *He is an avid outdoorsman and enjoys hunting. *He modeled for L.L. Bean and Teen magazine before acting. *Glamour magazine named him the #8 Sexiest Man in 2011. *He learned to play the violin, while shooting for Eragon movie in Slovakia. *He gained at least 30 lbs. of muscle for the role of Patroclus in the 2004 film Troy, then gained another 20 for the role of Don Billinsley in the 2004 film Friday Night Lights. *He is a huge fan of punk rock.